When the home of Alex Cross's longtime friend, Ellie Cox, is turned into the worst murder scene Alex has ever seen, he is devastated. The destruction leads him to believe that he's chasing a horrible new breed of killer. As Alex and his girlfriend Brianna Stone begin the hunt for the villain responsible for the killings, they quickly find themselves entangled in the deadly Nigerian underworld of Washington D.C.. What they discover is shocking: a strongly organized gang of teenage thugs headed by a powerful, diabolical man-The Tiger. As the killing spree escalates, Alex and Brianna realize they are not dealing with any ordinary killer, but one who has brought his personal war of vengeance to America's capital. But just when the detectives think they're closing in on the elusive murderer, the Tiger disappears into thin air. Unable to let the killer get away with this narrow escape, Alex makes it his duty to bring the brutal butcher to justice. He knows that he must follow The Tiger. Alone. When Alex arrives in Nigeria, he discovers a world where justice is as foreign as he is. Unprotected and alone in a strange country, bombarded on all sides by the murderous threats of The Tiger, Alex must draw on his fiercest instincts just to survive in a lawless world. 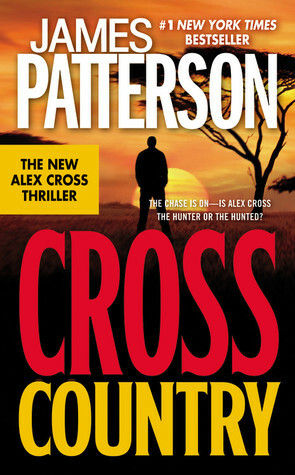 From the author Time magazine has called "the man who can't miss," Cross Country is the most breathtaking, heart-stopping, electrifying Alex Cross thriller yet. This was definitely not my favorite Cross book ever, so I don't have much to say about it. But, it did have some upsides. There was definitely a lot of action in Cross Country. Once it started, it never really stopped. Alex was put through hell for trying to solve the case about The Tiger. He wasn’t let off easy at any point. That was one of the only positives for me. I didn’t like The Tiger as a villain. He was unbelievable to me. That, and he was never really fully explained in my opinion. Alex’s journey to Nigeria was also a bit much for me. It seemed pretty unnecessary, but it wasn’t out of character for him at least. This book was weird. It did a good job at holding my attention even though I wasn’t really into it. I guess it was just a semi-okay filler book in the series. The one before it was good, and I am hoping the next one is good as well.